If you read through the Bible often, you will begin to see themes in Scripture that you cannot see otherwise. An example that usually comes to mind is the sovereignty of God in salvation. This subject is usually “hotly contested” on among Christians, and yet it can usually be resolved with a reading of Genesis-Revelation on a regular basis. God’s choosing of men runs through both Testaments and most books in the Bible. If you are just reading a few verses here or a paragraph there, chances are you will miss some of the greatest themes in Scripture. If you read through the Bible often, you are reading it the way God intended it to be read. If someone wrote you a 10-page letter, would you read pg. 3 and then jump to pg. 7 and then go back and read the bottom of pg. 4? None of us would do that, because there is an intended order to the letter. It’s no different with our Bibles. God intended for Moses to record the 1st section of books in the Bible; it’s the “greeting” of God’s letter. If you read through the Bible often, you will never be wasting your time. All of God’s Word is sufficient (II Timothy 3:16-17) and all of God’s Word has the power to help you be more God-like (II Peter 1:3). Therefore, the apostles were not ashamed to preach the whole Bible to their audience (Acts 20:27). If you read through the Bible often, you will get the opportunity to observe, interpret and apply those passages of Scripture that are unusually difficult, but are as sufficient as the rest. Passages like Ezekiel’s wheel in Ezekiel 1 or the events of the end days in Revelation 6-22 or the Song of Solomon or God hating Esau and loving Jacob in Romans 9. Some avoid these passages because they don’t want to debate others or think too hard about God’s Word. But we are not meant to always have “chicken soup for the soul”; we need to challenge our thinking more often than we do. I don’t meet too many mature Christians who have never read through the entire Bible. If you read through the Bible often, you are less likely to mis-interpret Scripture. A common malady for Christians is taking verses out of context. This is the danger of using devotional books as the primary diet for Bible intake. Most devotionals look at one verse – or maybe a few verses – and just elevate some phrase or application without considering the context and whether the application is even accurate. The classic example is Philippians 4:13 that many Christians claim as a mantra of God enabling us to do whatever we want, because He is all-powerful. But the verse – in its context – is about being content in whatever circumstances God allows us. My encouragement to you is simple: be a Bible-reader, but be a Bible-reader that digests God’s Word daily and sequentially. If you are looking for a good place to start, and you can start on any day that is not January 1, start by reading 3 chapters every day and 5 on Sunday. That simple Bible reading plan will get you through the entire Bible by April 23, 2020. Few and far between are the biographies of Christian women. Fewer still are the biographies of married Christian women. Yet almost unheard of are the biographies of those Christian women who spent their years of godly service married to pastors. Rare are the accounts of those selfless servants of God who contented themselves in the unique and quiet ministry of loving, encouraging, and supporting the very public ministries of their pastor-husbands. Into this literary void, Ray Rhodes presents the life story of one such selfless servant. 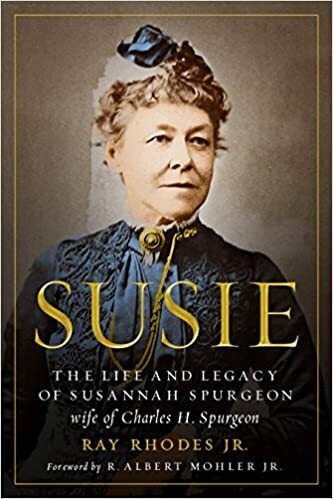 In Susie: The Life and Legacy of Susannah Spurgeon, Rhodes weaves together the threads of faithfulness and fruitfulness which so marked the life of this dearly loved pastor’s wife. Despite her husband’s ongoing ministry discouragement and the difficulties arising from his enormous ministry responsibilities, as well as the decline of her own health, Rhodes reveals to us a woman determined to remain useful for God’s kingdom in service to her own pastor-husband and countless others. Susie’s is a story of deep investment, into her husband, into her children, and into the ministries of pastors all over the world. On Sunday, this week comes to a final and great climax when Jesus rises from the dead (Matthew 28:1-15; Mark 16:1-13; Luke 24:1-35). 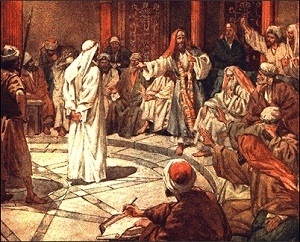 On Friday, in the morning, Jesus is tried by the Sanhedrin, Pilate and Herod Antipas (Matthew 27:1-31; Mark 15:1-20; Luke 22:66-23:25; John 18:28-19:16). Then about 9:00am, Jesus was taken to the cross, died in the afternoon and was buried (Matthew 27:32-61; Mark 15:21-47; Luke 23:26-56; John 19:16-42). 50 Now there was a man named Joseph, from the Jewish town of Arimathea. He was a member of the council, a good and righteous man, 51 who had not consented to their decision and action; and he was looking for the kingdom of God. 52 This man went to Pilate and asked for the body of Jesus. 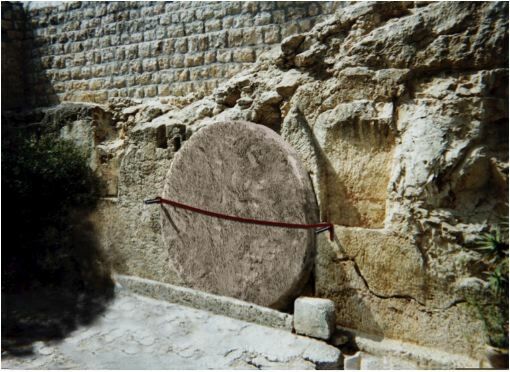 53 Then he took it down and wrapped it in a linen shroud and laid him in a tomb cut in stone, where no one had ever yet been laid. 54 It was the day of Preparation, and the Sabbath was beginning. [f] 55 The women who had come with him from Galilee followed and saw the tomb and how his body was laid. 56 Then they returned and prepared spices and ointments. On Thursday, Jesus installs the Last Supper with His disciples (Matthew 26:17-29; Mark 14:12-25; Luke 22:7-30). And prepares the disciples for His departure (John 13-14). From there they travel to the Garden of Gethsemane and it is here Jesus is betrayed and arrested (Matthew 26:36-56; Mark 14:32-50; Luke 22:39-53; John 18:1-11). Later that night, Annas and Caiaphas would try Jesus while Peter denied Him (Matthew 26:57-75; Mark 14:53-72; Luke 22:54-65; John 18:12-27). On Wednesday, Judas plans to betray Christ (Matthew 26:14-16; Mark 14:10-11; Luke 22:3-6).